When an old house in London is being torn down, the skeletal remains of an infant are found. Reporter Kate Waters sees a story and is bent on investigating what is clearly a crime. When the story of the infant remains appears in the local paper it captures some interest beyond the average ‘human interest story’ for a few individuals. One woman is particularly interested and convinced that the infant was her child who was stolen from the hospital in 1970. Reporter Waters picks up on that lead and begins investigating – fully aware that the police at the time strongly suspected the woman (Angela Irving) of doing something to her own child. Waters’ investigation has her searching for, and interviewing, residents of the neighborhood from the 1970’s – no small task given the transient nature of the area some 40+ years prior. When the police have some DNA information, Kate Waters jumps the gun in order to get the advance story. Further work by the police changes everything Waters thought she knew about the case and her own investigation deepens as she tries to track down the anonymous caller who has information not known to the general public. Author Fiona Barton has written a compelling story that is part mystery and part human interest/general fiction. The story is told in multiple points of view which is generally a format that I don’t really like, but Barton handles it well and the transitions are generally smooth and easy to follow – beyond the character information at the beginning of each chapter, the character voices are distinct, and what they are thinking about is clear from the very first moments of each chapter, which makes a big difference. Barton also does a nice job of building the story and capturing the reader’s attention and interest. The mystery builds well, with ‘hiccups’ along the way, derailing what Waters (and the reader) were heading toward. There were a few things that I wasn’t expecting, though given the nature of the crime and the found body, I shouldn’t have been surprised by the background that is revealed. This is not my typical read, but for the most part I enjoyed Barton’s writing – but as a mystery it was too easy for me. Looking for a good book? 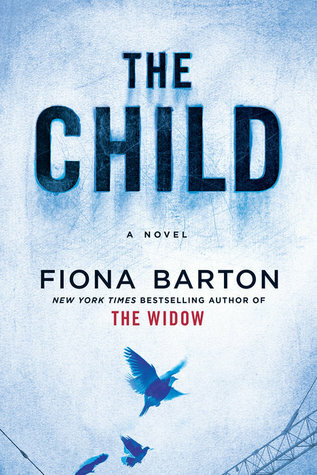 The Child, by Fiona Barton, captures the reader’s attention with well-designed characters and an unforgettable crime, but the mystery is rather apparent early on.